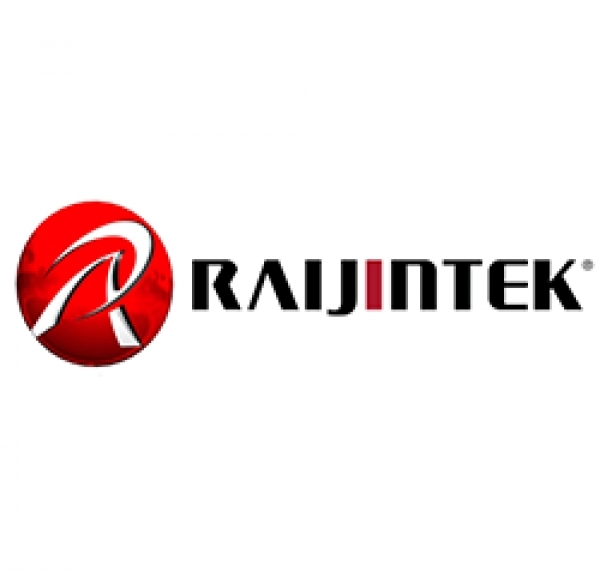 Here Raijintek continues with their previous packaging methods with a box that is clearly meant to be seen on retail shelves. 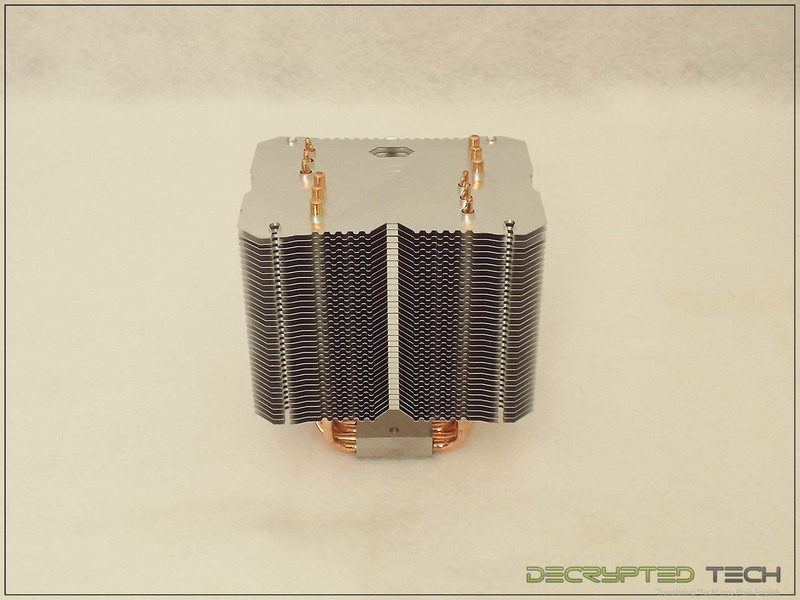 Photos of the cooler are included as well as most of the technical information listed above. 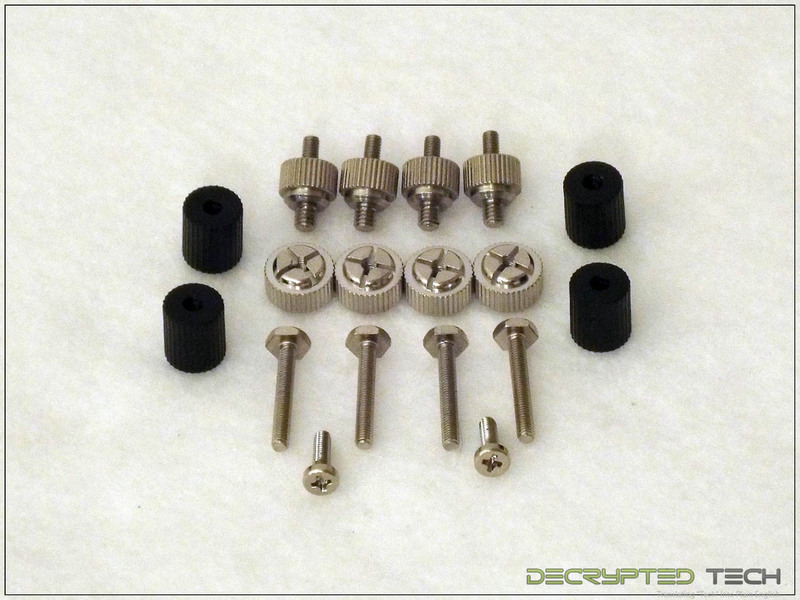 Included in the package are the usual single-sheet instruction list, a box of mounting hardware identical to that used for both the Pallas and the Themis Evo, and the 140mm slim fan. 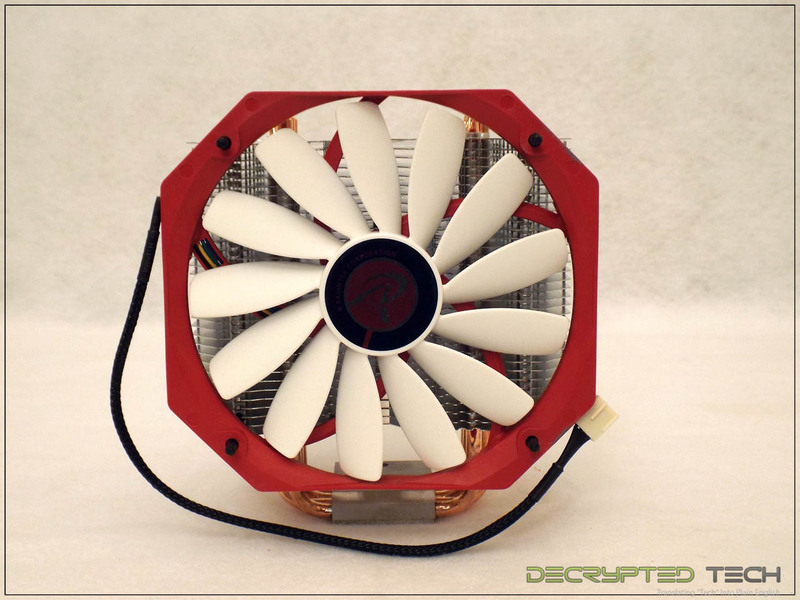 This is the same Aeolus fan that comes standard with the Pallas cooler. 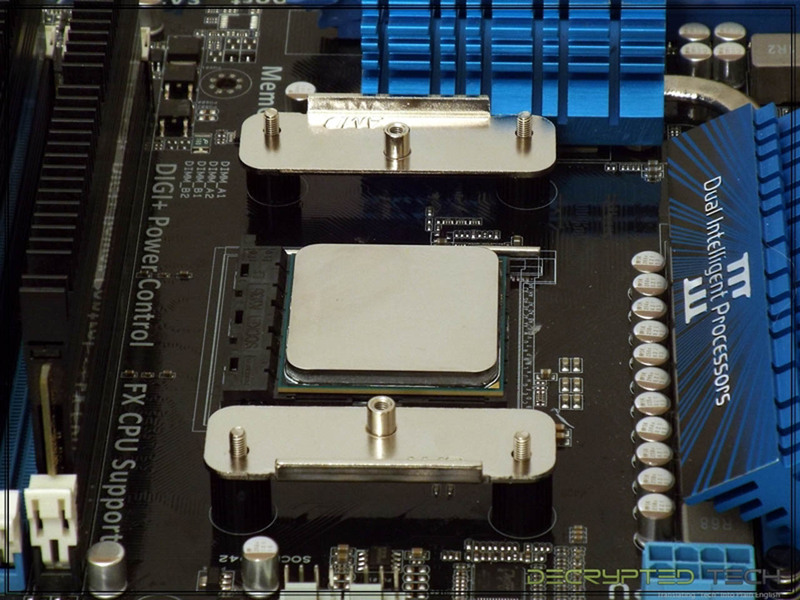 Here we start to see some differences between the Ereboss and its smaller cousin the Themis Evo. 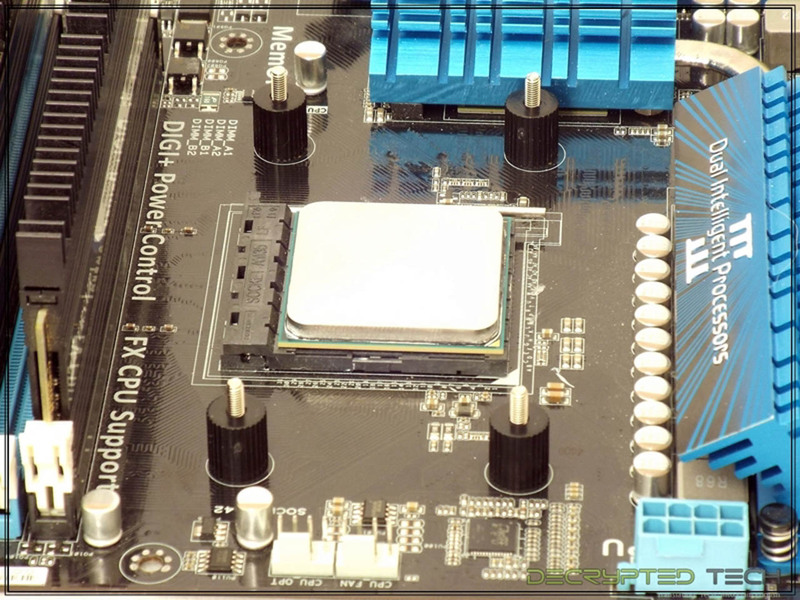 The primary difference in the retail package is the fan and mounting methods. 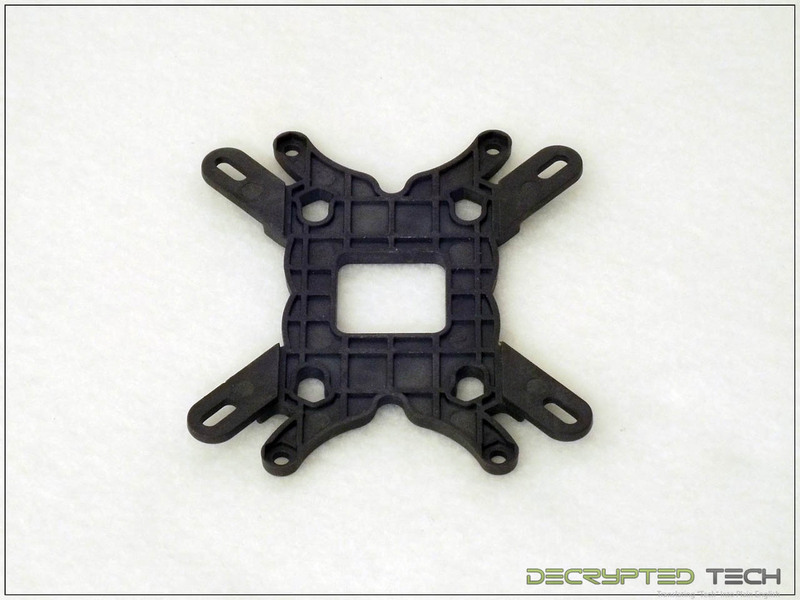 While the Ereboss uses the same fan as the Pallas, it uses the outstanding rubber mounts we found in the Themis Evo. I noted the difficulties encountered in installing this same fan on the Pallas with the provided clips, so hopefully these rubber mounts will alleviate that issue here. The Ereboss is definitely not a small tower. 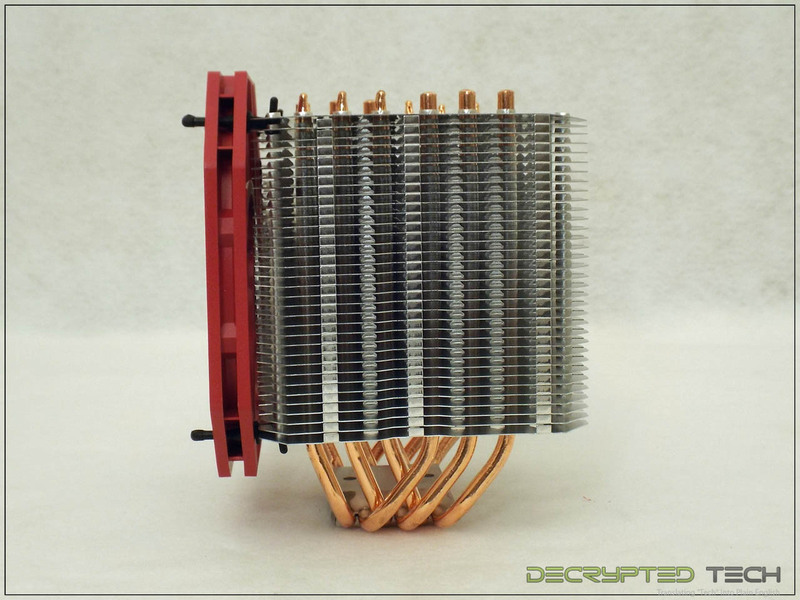 Weighing in at over 800 grams without the fan, it is am impressive array of fins and heat pipes. Here also we start to see design differences between the Ereboss and the Themis. While the Themis sported a flared cutout in the fins, which served as both screw access and aesthetic, the Ereboss seems to be all business. I noticed a lack of the polish that the Pallas and the Themis both had on the fins, and the fins on the Ereboss not only seem thicker than those on the Themis, they are definitely less prone to bending thanks to better stiffening bends. 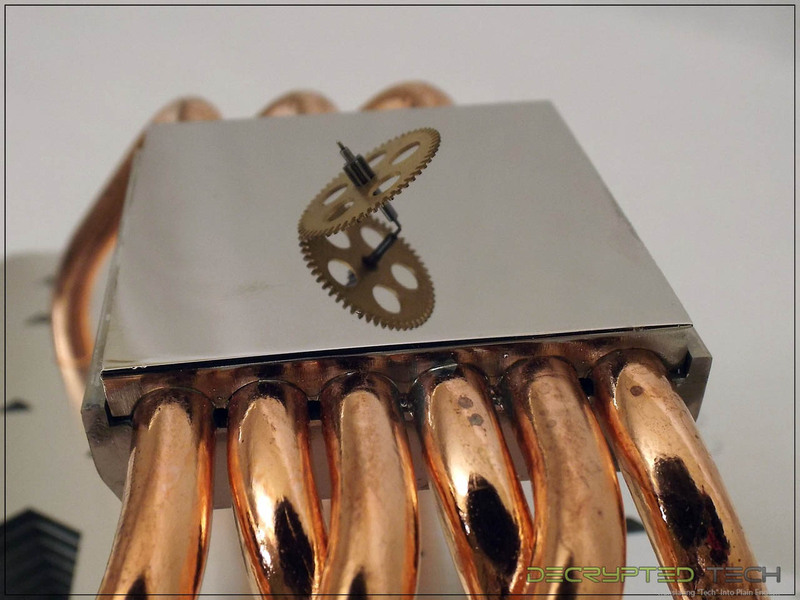 The Ereboss shares the same nickel copper base as the Pallas, rather than the direct-touch heatpipes of the Themis Evo. 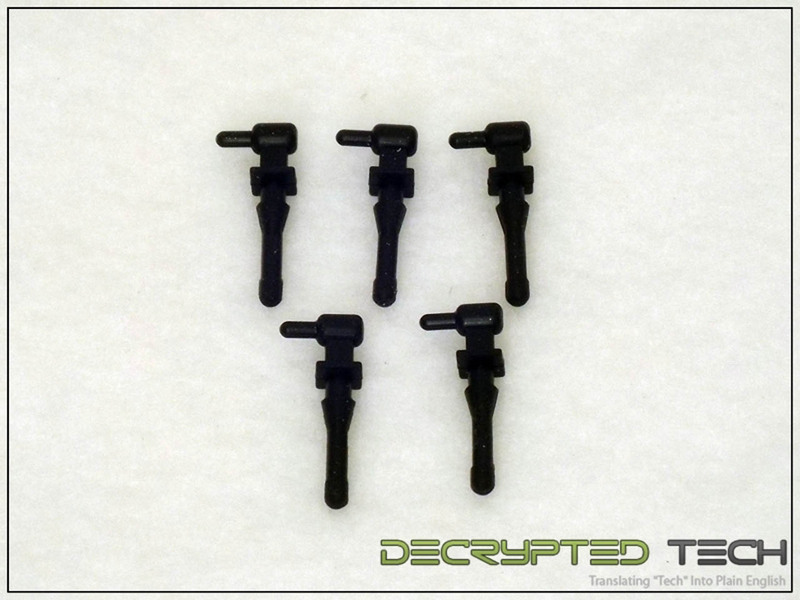 While this may adversely affect performance, the Ereboss sports six heat pipes vs. the four on the Themis. Testing will be interesting on these two coolers. 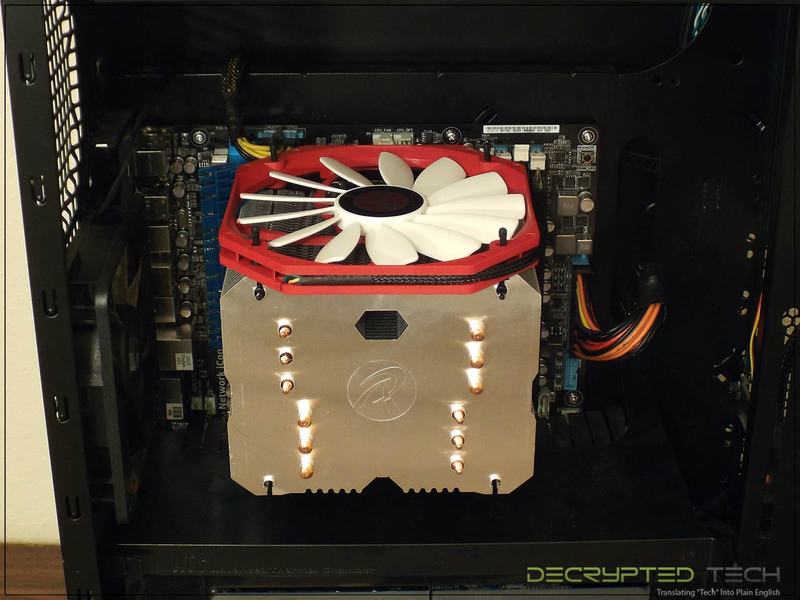 I’m happy to confirm that the rubber fan mounts were as easy to use on this cooler and they were on the Themis, and the slim Aeolus fan looks great when mounted. 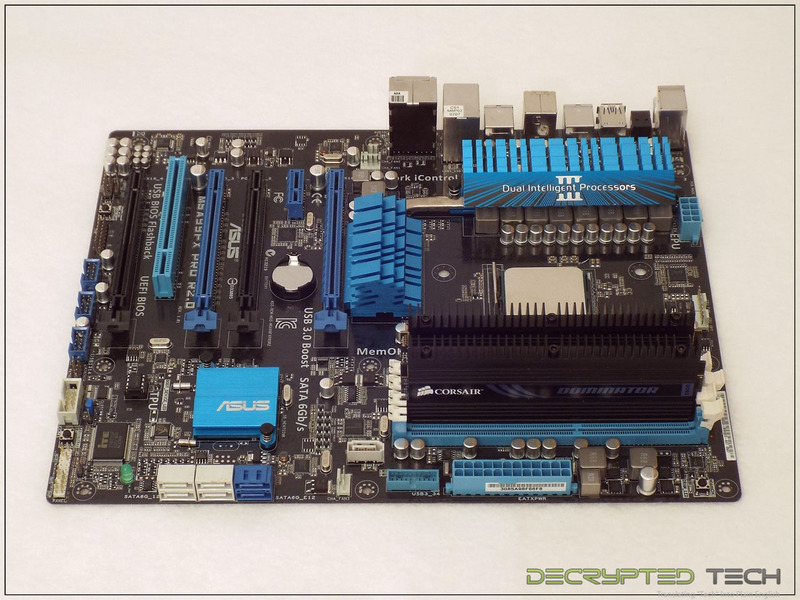 My test system uses the Asus M5A99FX Pro motherboard coupled with a Phenom II 1100T processor and 4GB of Corsair Dominator RAM. 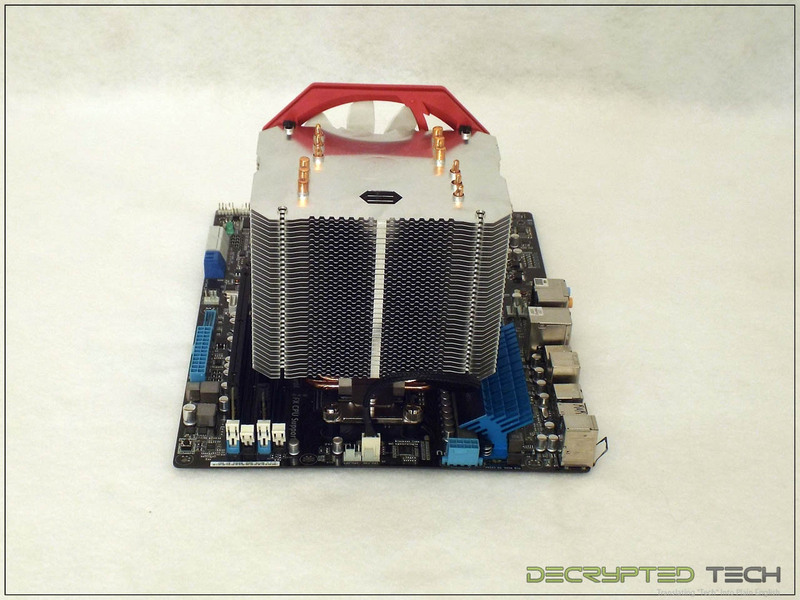 The combination of heatsinks on the this board and on the memory serve to test clearance issues on most coolers. If it will fit in this setup, chances are it will fit in yours but as always, your own research is strongly recommended. As mentioned, mounting for the Ereboss is again exactly the same as both the Pallas and the Themis Evo. 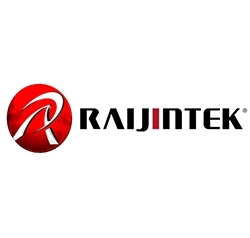 Raijintek is consistent here if nothing else. I appreciate the efficiency; if it works leave it alone. 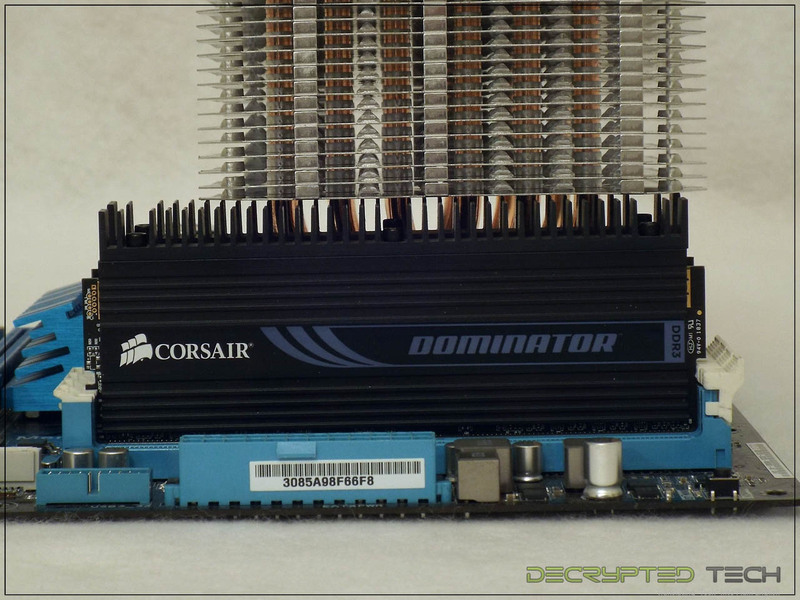 Our test system uses Corsair Dominator memory with the tall heat sinks installed to thoroughly test cooling systems for clearance issues. 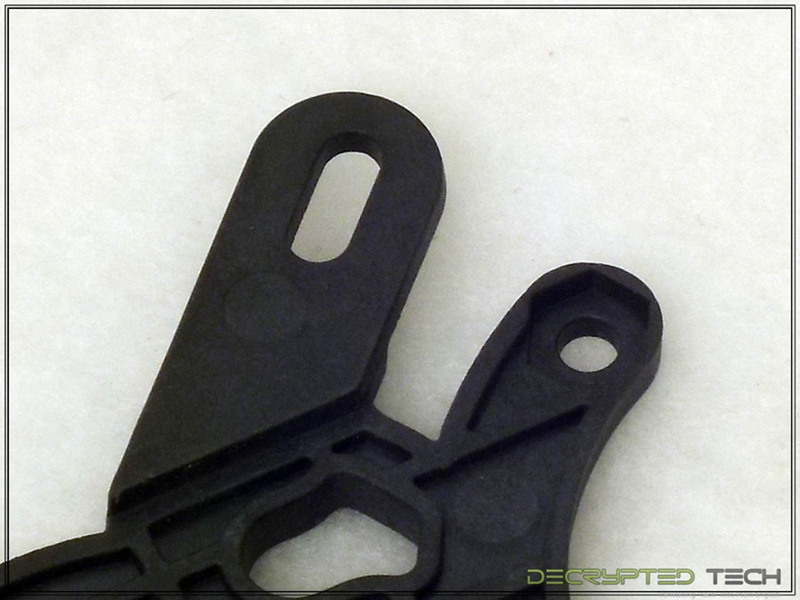 Unfortunately, I ran into the same clearance issues with the Ereboss that I had with the Themis Evo. 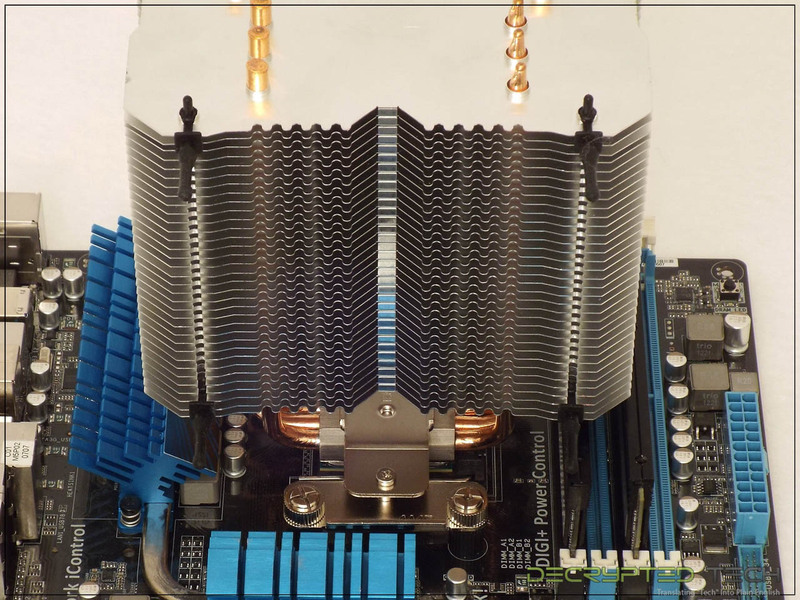 Once the heat sinks were removed there was plenty of vertical clearance on the memory. Owners of tall RAM be warned. 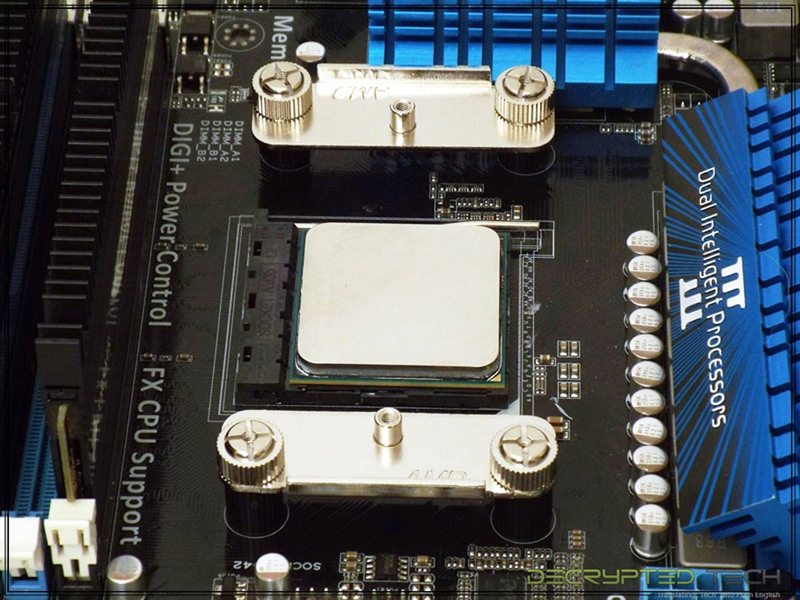 When installing the Ereboss onto our test board, I was very happy to see that the team at Raijintek is still keeping the user in mind regarding access. 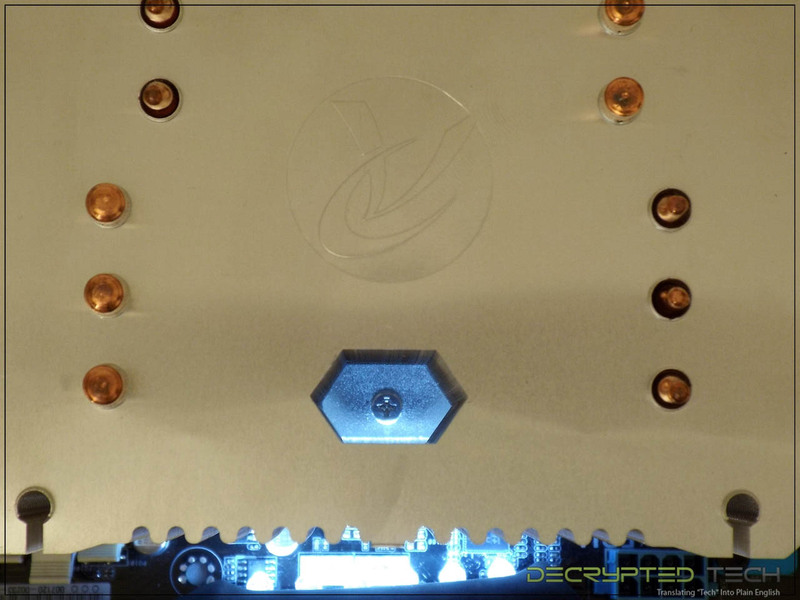 The cutout in the side of the fins as well as the hexagonal hole in the center are both there for access to the final mounting screws, and both are perfectly placed. Thanks guys! On to the mounting. 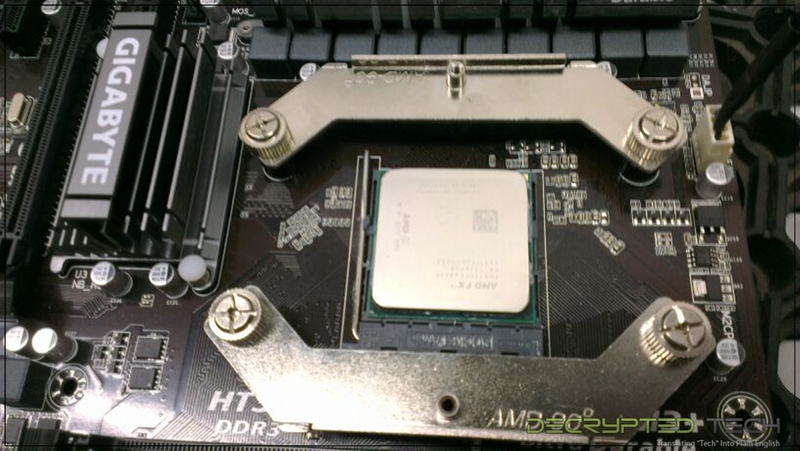 When I first placed the Ereboss on the CPU I saw that I was going to run into the same problem with the fan mounts that I had with the Themis Evo: the holes for the rubber mounts are directly above the row of memory closest to the CPU. Thankfully, during that previous testing I was able to figure out that by installing the rubber mounts before installing the cooler the fan can still be mounted. The problem isn’t getting the fan on the mounts. 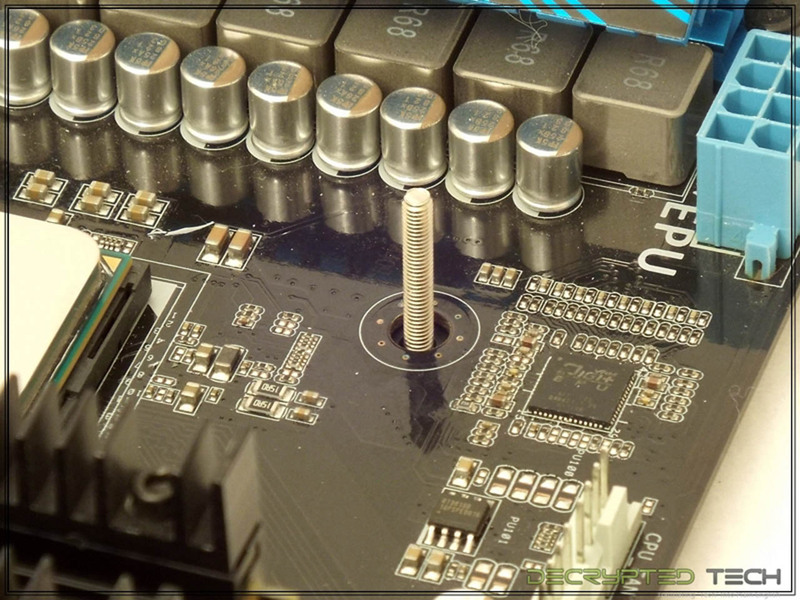 The problem is getting the mount into the bottom hole in the fins with the memory in the way. Feeling very smug, I happily installed the mounts and secured the cooler in place. 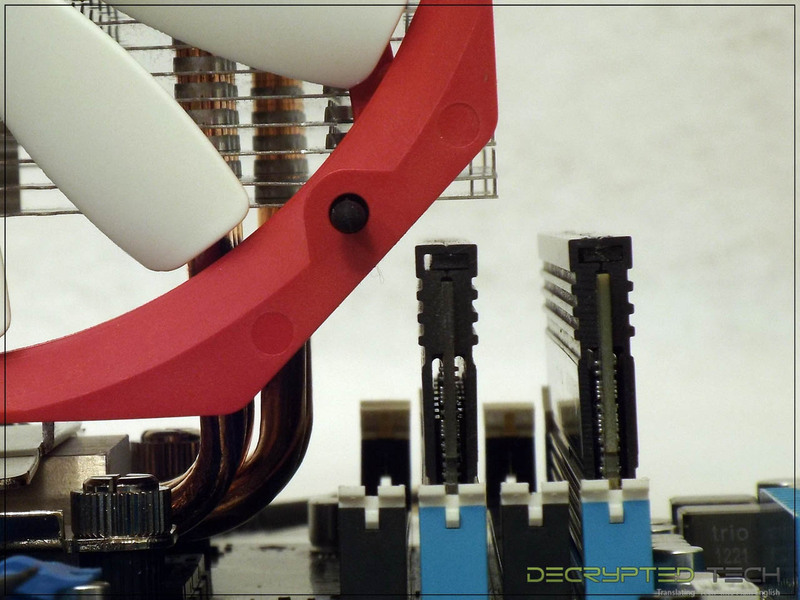 Unfortunately, this solution doesn’t work with the Ereboss cooler. The smaller fan on the Themis Evo allowed sufficient clearance for use. 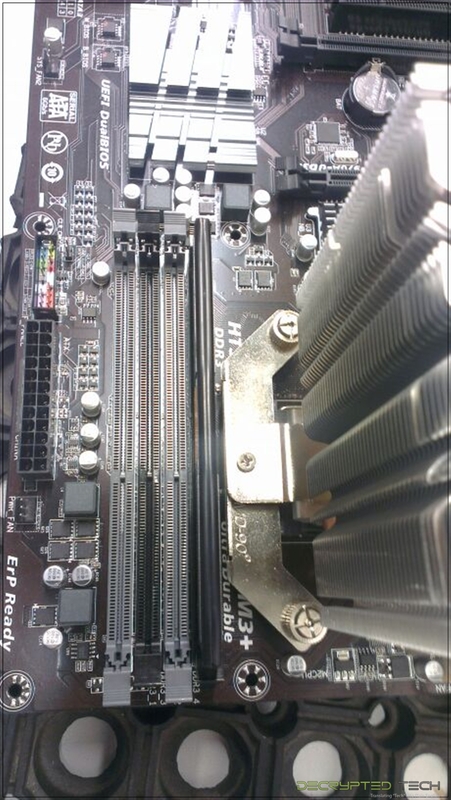 The larger 140mm fan on the Ereboss doesn’t clear the first row of memory when installed. Moving the RAM to the two rows further from the CPU solved the issue. Once mounted the cooler looks impressive to be sure. 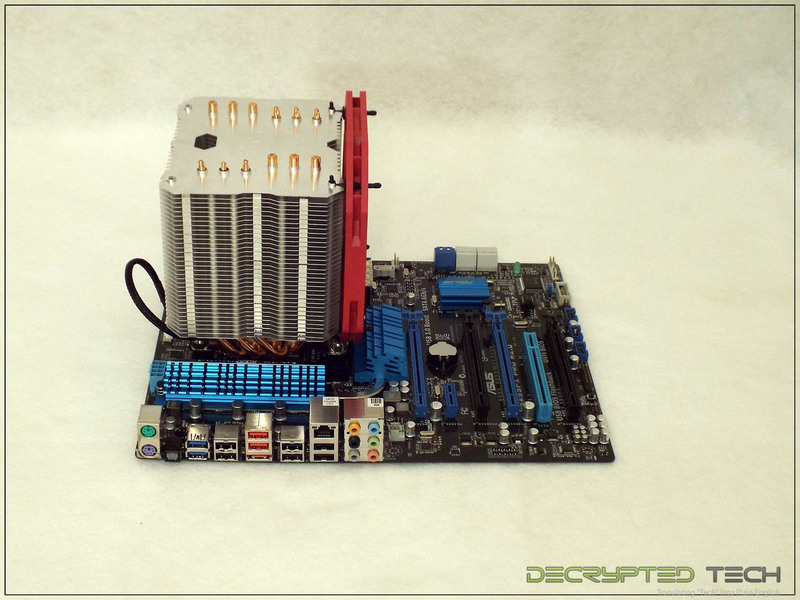 Even as large as it is, the Ereboss cooler fit perfectly in our full-tower test case. Clearance was tight though, be sure to check your case before you purchase. 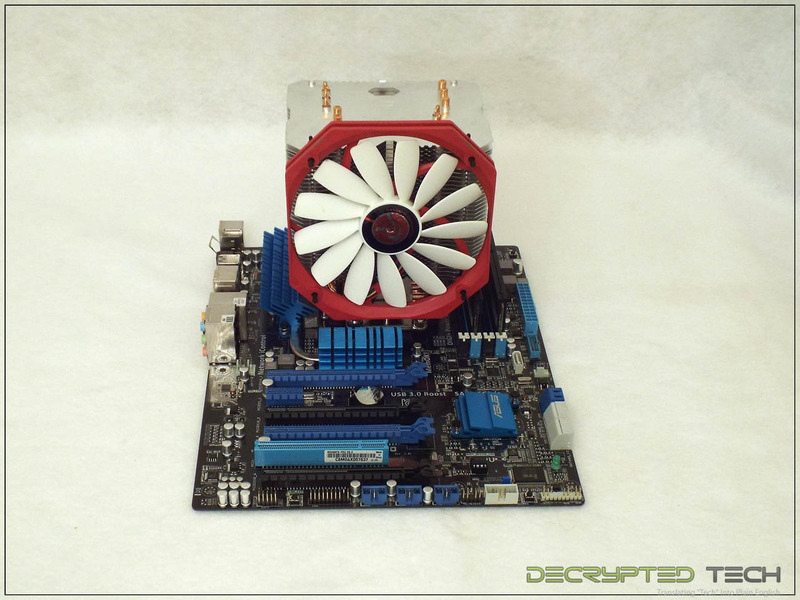 If there is an issue, also remember that the mounting setup for the Ereboss is actually spaced for a 120mm fan. 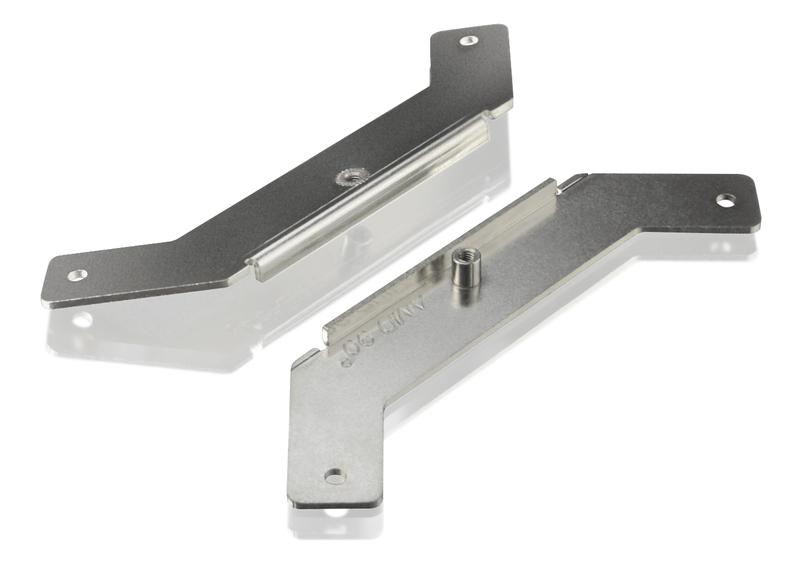 The Aeolus fans are 140mm but mount in a standard 120mm spot. 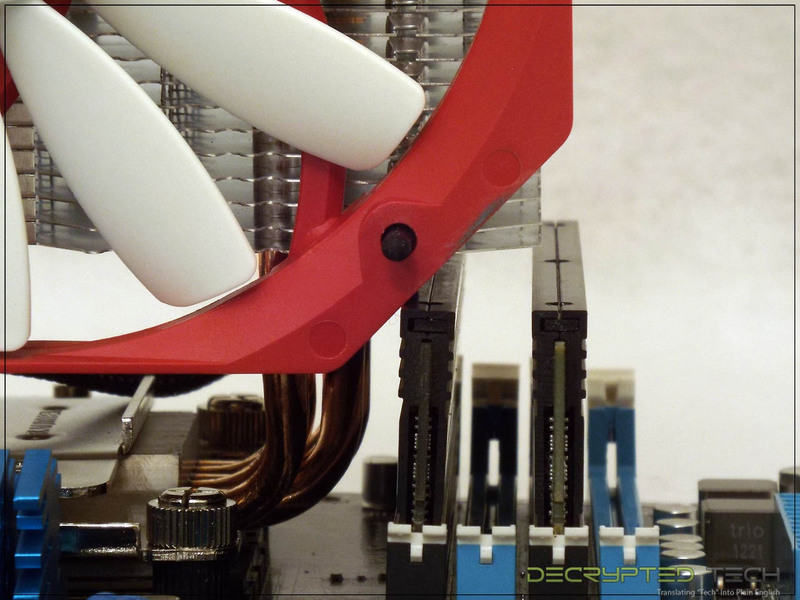 Since the fan is taller than the cooler, substituting a 120mm fan will give the user a tiny bit more clearance if needed. 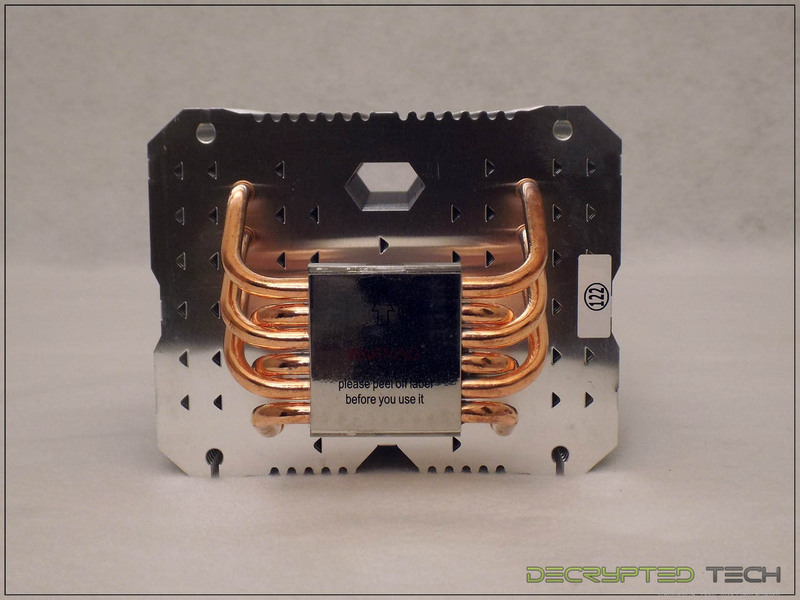 It will only be a few millimeters, given the height of the projecting heat pipes but sometimes that will make the difference. 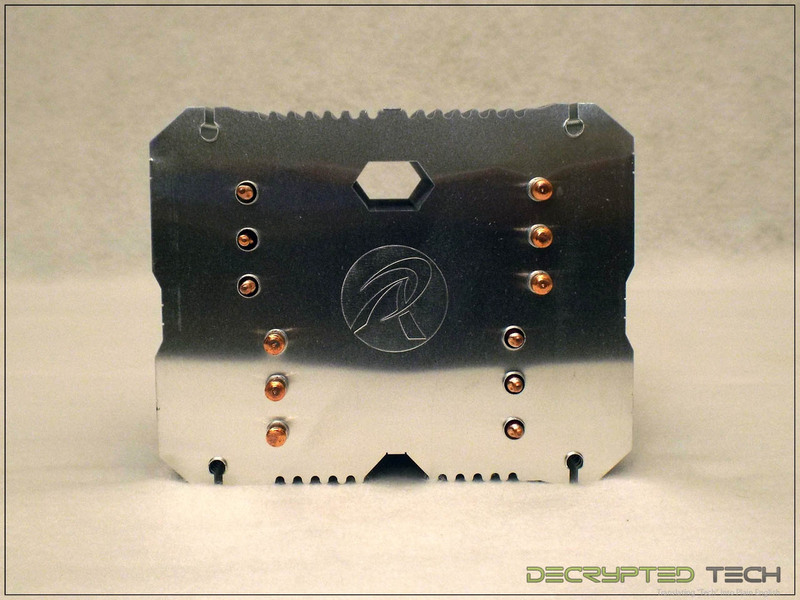 I got the chance to ask the rep from Raijintek about these brackets and how much they cost. Turns out they’re free for the asking. 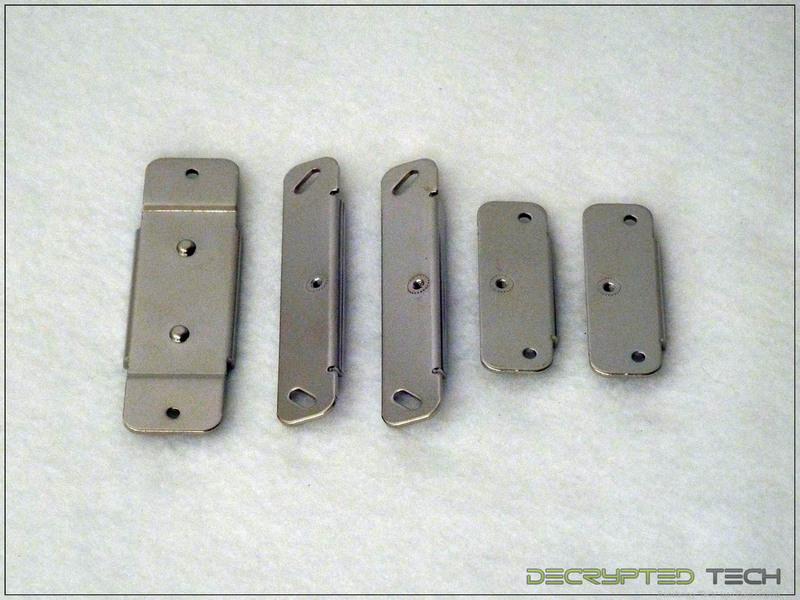 If you run an AMD system and need one of these 90-degree brackets all you have to do is contact Raijintek and give them your shipping info. Of course I asked at the time why these weren’t included with the retail package if they were giving them away. 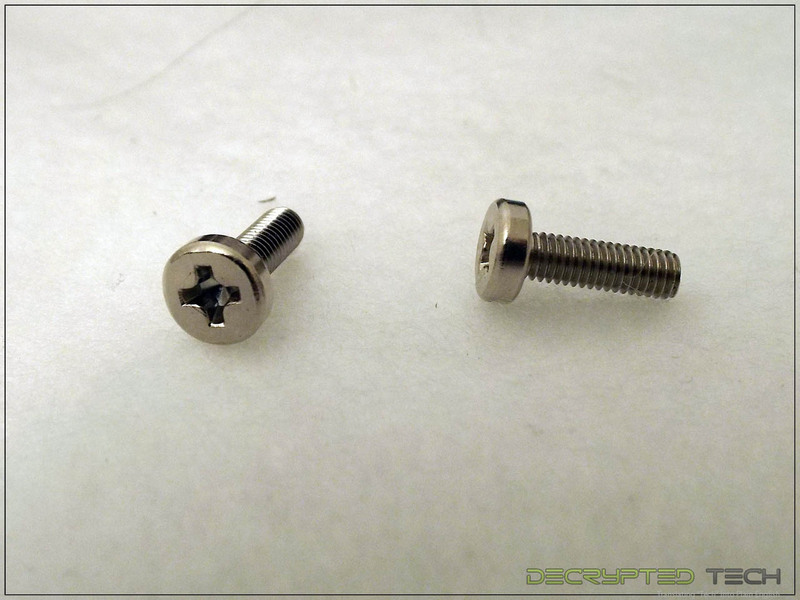 It seems the mounting setup they are using is currently being redesigned and whatever they come up with to serve the function of this adapter bracket will be included in future revisions. Ambient temp in the testing environment is brought as close to previous testing levels as possible and recorded at the beginning of the test. For this test ambient was 24.4C and remained stable within .2 degrees for the duration of the testing. 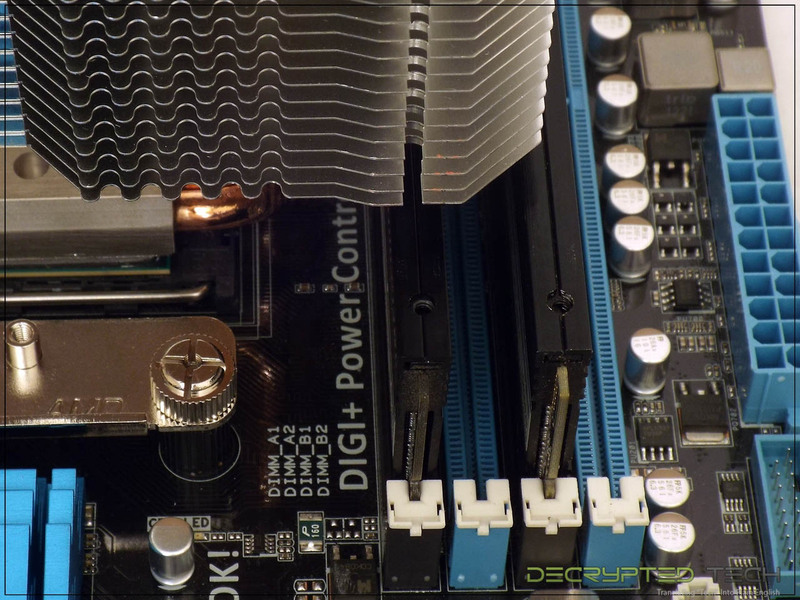 Before testing begins, BIOS power/performance settings are set to "balanced" mode and the system is allowed to idle for 30 minutes to get a stable idle temp. 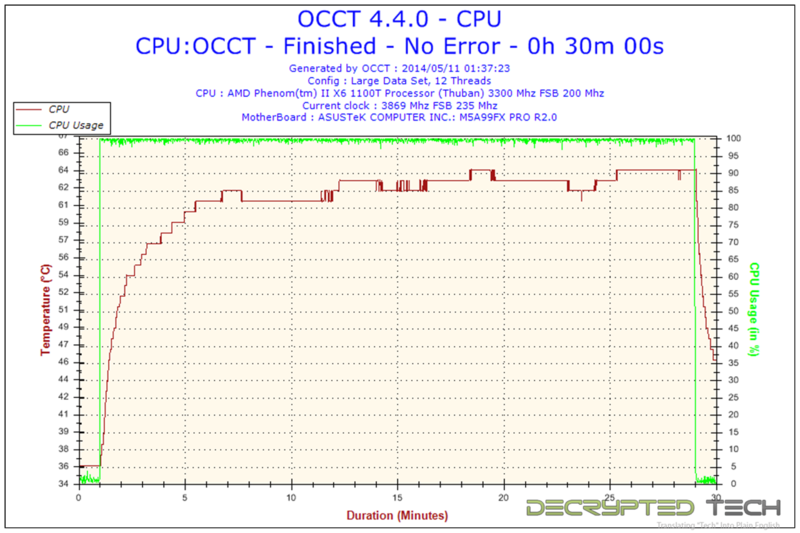 Stress testing is done with OCCT 4.4.0, running 30 minutes on each set, with large data set and a 1-minute idle time recorded at the beginning and end of each test. 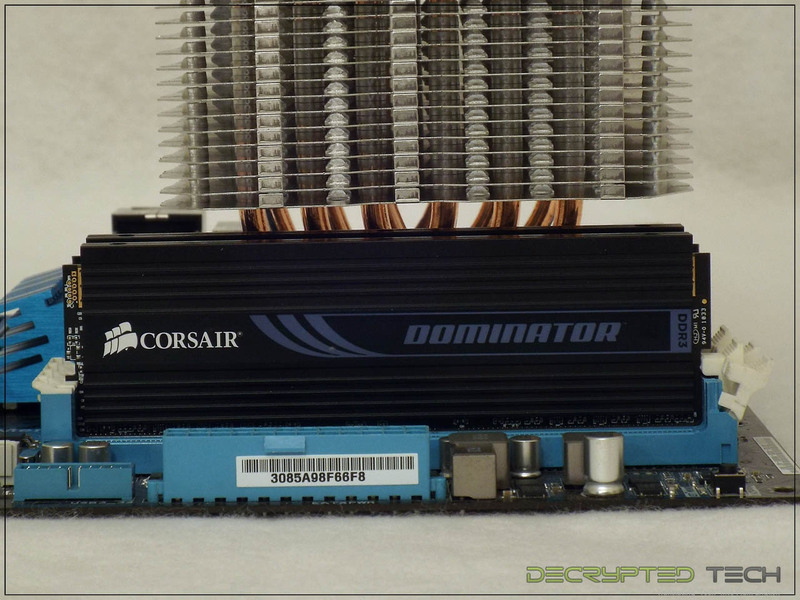 If a cooler has multiple modes (high and low fan speeds, for instance), the test is run for each mode and all results recorded. 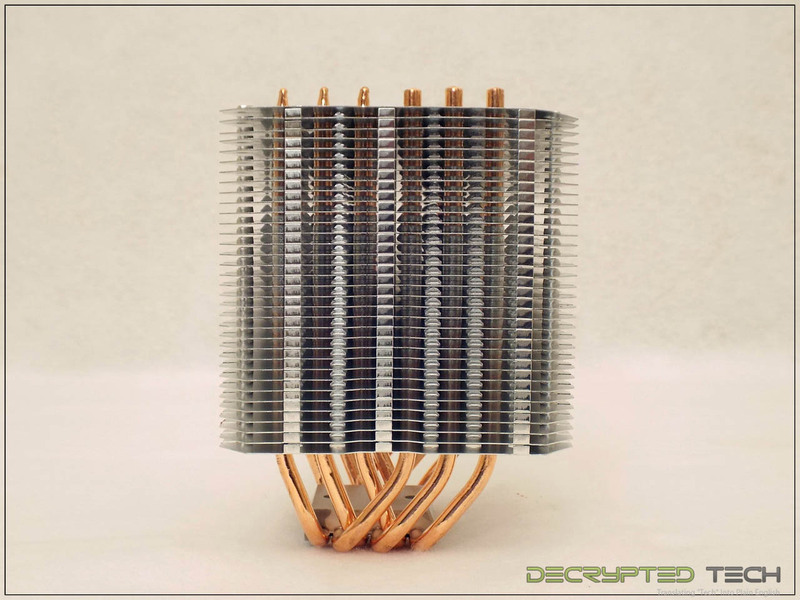 Tests are performed using Noctua NT-H1 thermal interface material for equal comparison with other cooling solutions. For acoustic testing all case fans are connected to a Sunbeam rheobus fan controller and their speed is lowered to the point that they are inaudible. So how did the Ereboss perform in our testing? The results were a little surprising to be honest. Performance in this test was nearly identical to that of the Themis Evo. 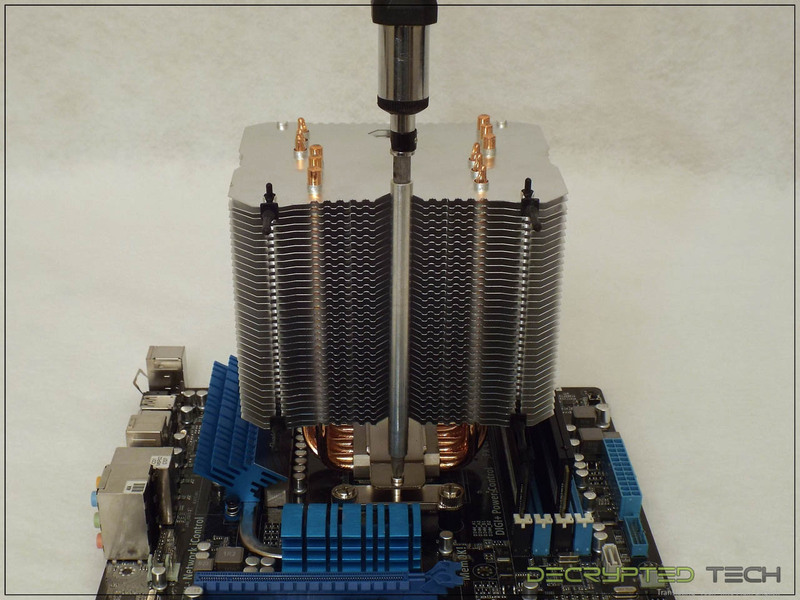 While there was a lot of give and take between the two coolers, with the solid base rather than direct touch heatpipes vs. a larger number of pipes total, and the choice of a slim fan vs. the fan itself being larger, I would have though the larger surface area of the Ereboss alone would have garnered better temperatures. I’m interested to see which of the changes counteracted this obvious advantage. I may have to put it through another test with the fan from the Themis Evo in place of the Aeolus fan just to see the results. Note that the Ereboss didn’t perform any worse than the Themis Evo at all. In fact, the graphs are nearly identical. The next category is where improvement was seen. When the system was first started and left to achieve a stable idle temp I had to make sure the fan on this cooler was turning. It was completely inaudible. As the test progressed and the temps climbed it did exactly what it was supposed to do and spun faster. While the noise level did increase, even at the peak temps in the test it was easily tolerable, even sitting right beside it. 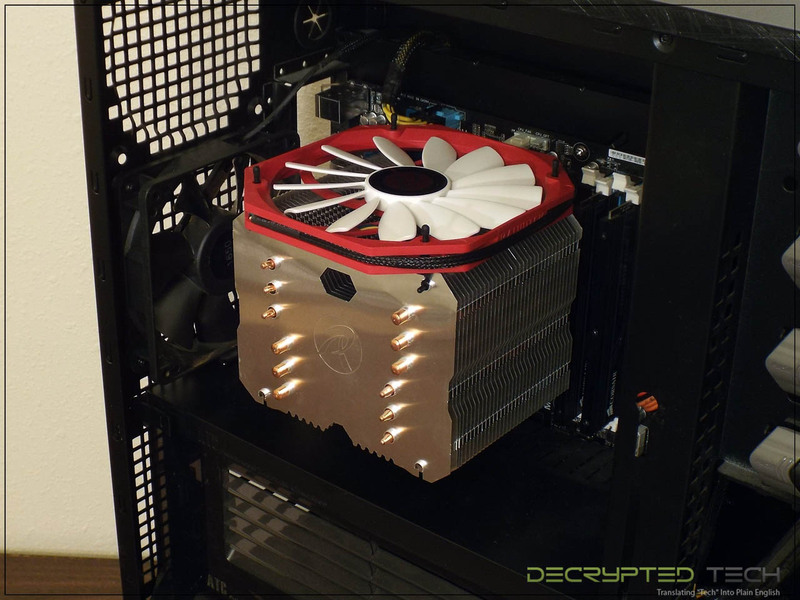 A huge improvement over the 120mm fan we tested with the Themis Evo. 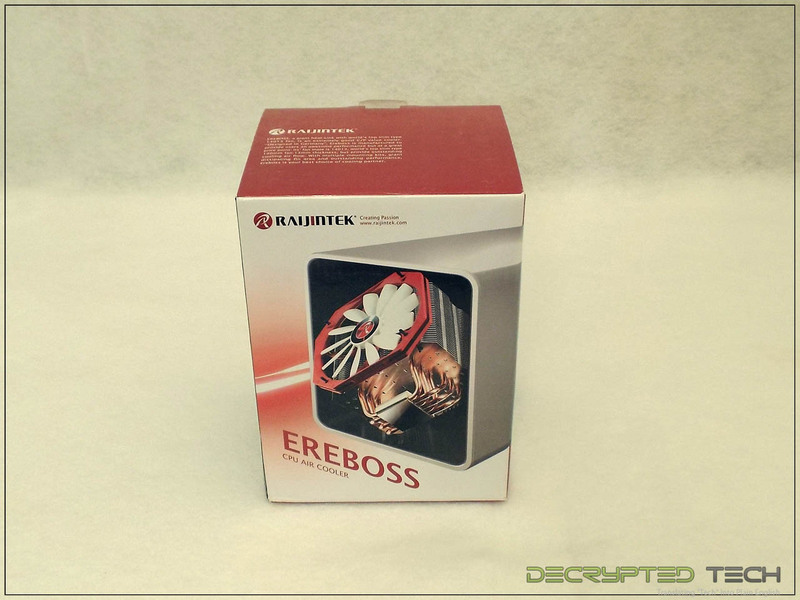 The Ereboss from Raijintek is a massive cooler, and while it lacks the polished finish of the Pallas and the Themis Evo it performs just as well and does it at a far better noise level. 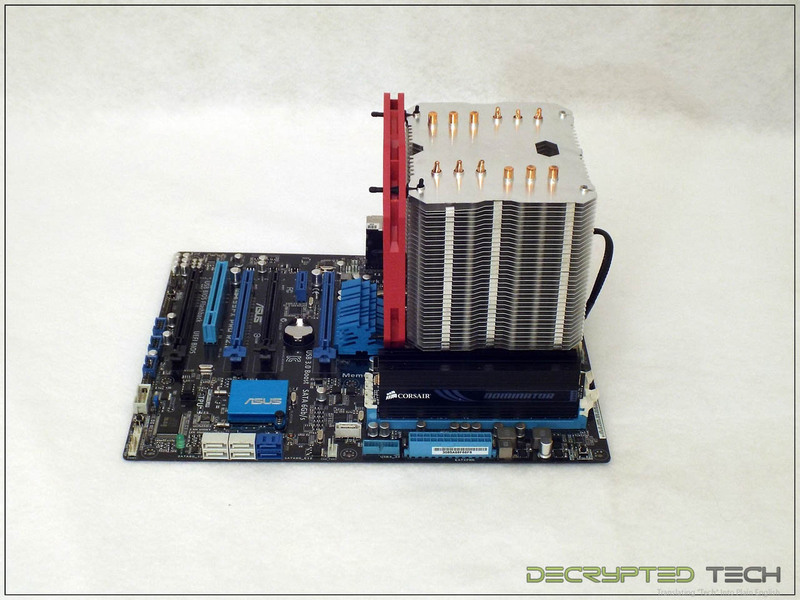 With an MSRP of $44.99, the Ereboss is a good choice for silent performance air cooling if you have the room for it. 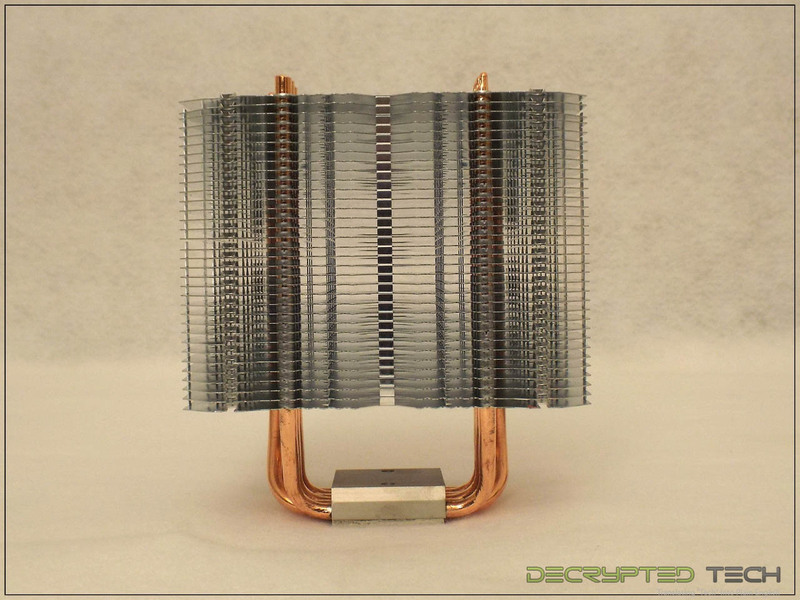 Stay tuned for the last in this round of cooler testing from Raijintek: the massive Nemesis cooler.